I did this design a few days ago, however I have only just had chance to upload it. 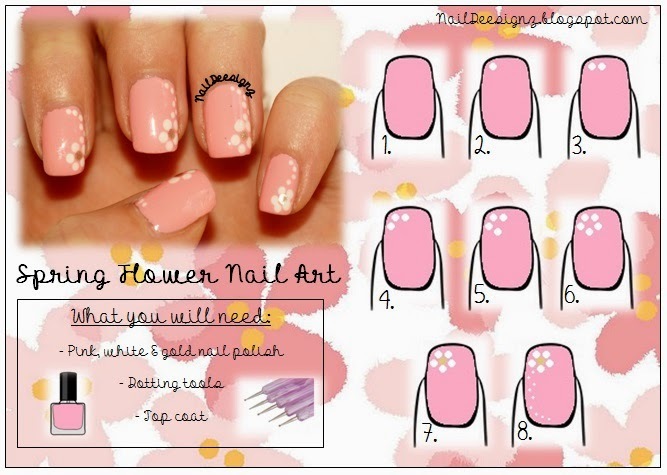 I am redoing my nails today, so I should be posting another design later on. I don't normally do my nails twice in a week, however because I had themed nail art on my fingers (St.Patrick's Day nails) I decided to do another design half way through the week. I didn't really have much time to do a full nail art design, so I did a simple flower in the corner of my nails, followed by a dotted trail. I hope you like the design.